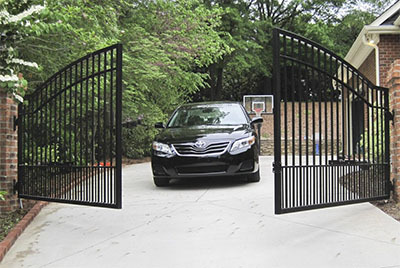 How do you choose between the many different swing gate operators? Check out the main types, their components, and how they operate. This will help you make the best choice with ease. These are the most widely used openers. They have a big motor unit which is installed right next to the post. The swing arm which extends out of the unit is attached to the panel somewhere around the middle. While the aesthetics may not be perfect, you can expect reliable performance. You can choose between units with a classic AC motor, which is highly reliable, and ones with a DC motor which is quieter and quicker to start working. These are smaller compared to their counterparts and the arm is attached to the bottom of the panel so it is well-concealed and won’t affect the looks (even) of a classic iron gate with bars. Since there are fewer components, maintenance is easier. You just need to lubricate the gear section and check the V belt’s condition. Another advantage of these models is the higher opening speed. This option is becoming ever more popular because the motor unit is quite discreet while pulling off dependable performance. It is quite small and installed directly on the post. It practically blends into the surrounding environment. Just keep in mind that the electronics are set in a separate control panel. This makes maintenance just a bit more time-consuming, but you most certainly won’t find it trickier. 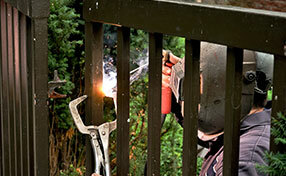 The moving arm is attached to the bottom of the panels so the gate’s looks remain pretty much unchanged. 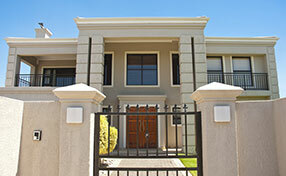 You can choose between a mechanical and a hydraulic gate opener with linear arm design. The hydraulic units use a pump and a piston. 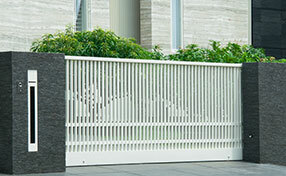 They are suitable even for larger and heavier gates and allow for smooth performance. At the same time, they cannot be solar-powered so if you want your home to be greener, you may opt for a mechanical model. This is considered to be the most sophisticated option of all. The motor unit is installed in a special case below ground so it is completely invisible. The moving arm is attached to the bottom of the panel. There are both mechanical and hydraulic in-ground models to choose from. Needless to say, opener repair and even maintenance are more challenging when the motor unit is below ground level.